What is the U value of my Patio Doors? What is the U value of my Patio Doors? What is the U value of my Patio Doors? 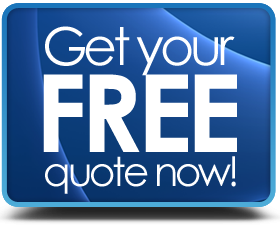 When talking about Patio Doors, the U value refers to how efficiently the window glass & the door as a whole keeps in heat; the better it is at doing this, the better rating it will have. If you think of heat flowing from one side of the glass to the other, then the window or door that has the highest heat flow will have the highest value, so it makes common sense to look for a low U value as that will mean the material allows less heat to flow from one side to the other. Modern replacement windows and doors are energy rated and so you may see a set of numbers that is followed by “W/ (m²K), so what does this mean? – It actually describes the amount of thermal energy that is being allowed through any 1 square metre of material, where the temperature difference between the sides is 1 degree Kelvin. Things have been made simpler by the introduction of “WER” rating labels, as shown below. 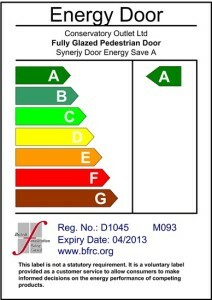 The BFRC (British Fenestration Ratings Council) WER label shows the rating of the overall unit, not just the glass, in this instance the higher the rating the more efficient the window will be – “A” is the best rating. The WER label also shows the U values in the lower right hand corner. U value of 1.6 W/(m²K) or less for the window. At least a window energy rating (WER) of ‘C’.